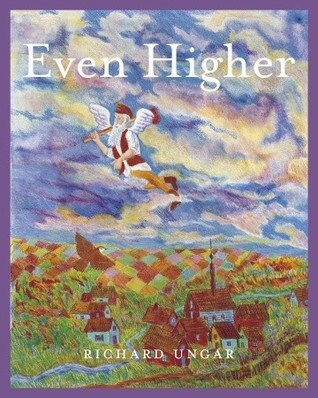 Richard Ungar was born in Montreal, Quebec. When he was young he wanted to be either an artist or a lawyer when he grew up. Now that he is almost grown up he still can't decide between the two. So he does both. Writing is a more recent thing for Richard. He began writing stories so that he would have something to go with his pictures. And he's discovered that he quite likes writing...even without pictures. Richard finds it quite handy to be both writer and illustrator. If, while he is working on an illustration he has a question for the writer, he simply asks him right then and there. And if he is not in a grumpy mood he will get an almost immediate response (quicker even than email). He also knows what foods he likes; so it makes choosing a restaurant really easy. Richard has four picture books published. Three of his books take place in the mythic village of Chelm (not to be confused with the real-life village of Chelm that is in Poland). Once you have visited Chelm, (the mythic one that is) it is very hard to leave. You see, the people there are very silly. And, when you spend half your day being a serious lawyer, silliness is welcome. Lately (in the last few years), Richard has been focusing more on writing middle-grade fiction. He always liked that part of his life (he still had all of his hair back when he was in the middle grades), and he has found a way through his writing to immerse himself back in those years.